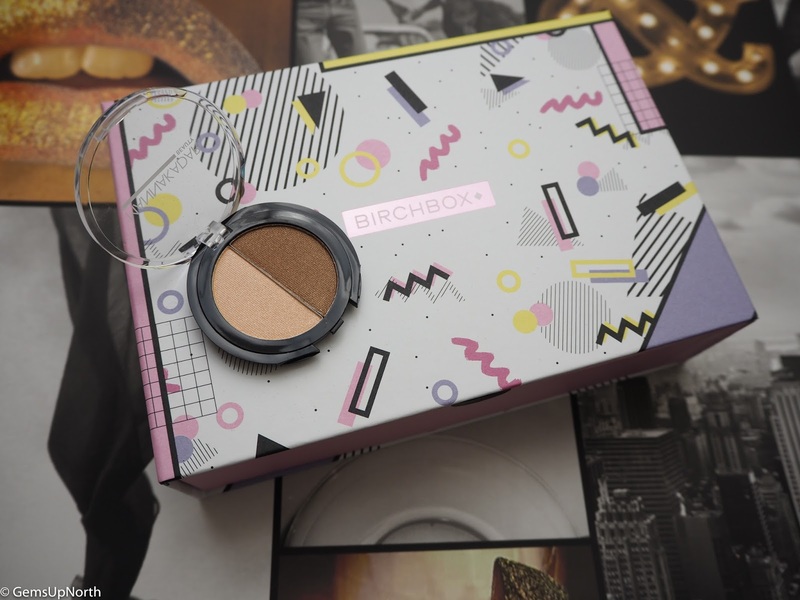 Birchbox have given us all retro vibes with this months boxes, back in January us subscribers had the option to choose which box we wanted to receive in February. There was actually 3 options to choose from, 3 different box designs; one for the 70’s, one for the 80’s and one for the 90’s! All had retro shapes and feels to them and totally worked for each era. Being a 90’s baby I went with the 90’s box which has all the pastel colours going on and could totally be a shell suit design! The contents this month didn’t actually blow me away as there wasn't a wide range of products however there was 2 full sized makeup items in my box. The other items was 2 hair care products and a skin care product, so unlike other months there was no body care product or any beauty tools; Birchbox hand pick your products to suit your beauty profile so I understand I will get different products each month. One of the two makeup items in my box this month was this Bronzer and Highlighter duo from Manna Kadar. This brand has been featured in Birchbox previously but was completely new to me. I like the idea that the product is a two in one and its small enough to fit in a small handbag to take out with me. The bronzer side is quite shimmery so I've been applying lightly but its not too dark for my pale skin tone. As for the highlighter side I've had to apply more to get a glowing look but once I had built up the shade, I was happy with my makeup look. I'd like to try more products from Manna Kadar in the future to get a better feel for the brand. Everyone received this makeup product in their Birchbox this month, this was in place of the Keeome Silicone buffer that was suppose to be in this box but Birchbox emailed to say there had been a change to the contents. 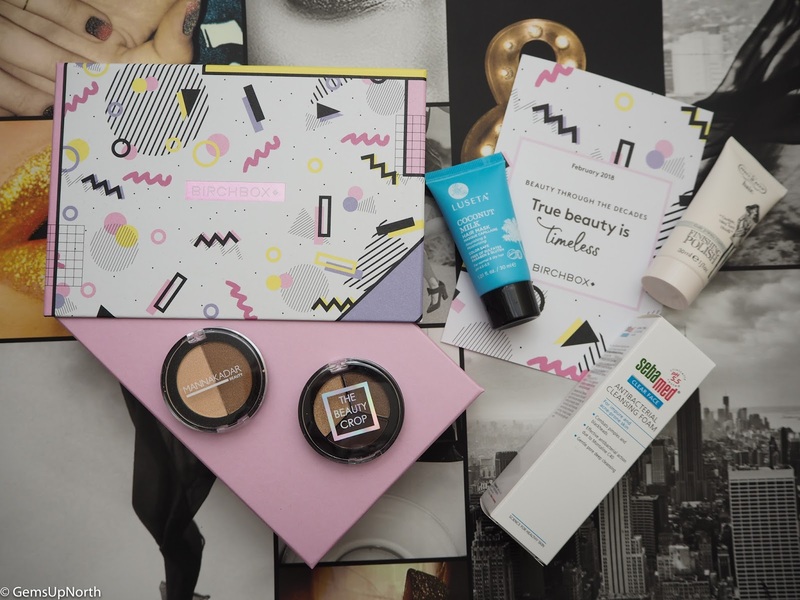 The Beauty Crop are a new brand to me, I've never heard of them before but I was keen to try the eyeshadow trio when my box arrived. 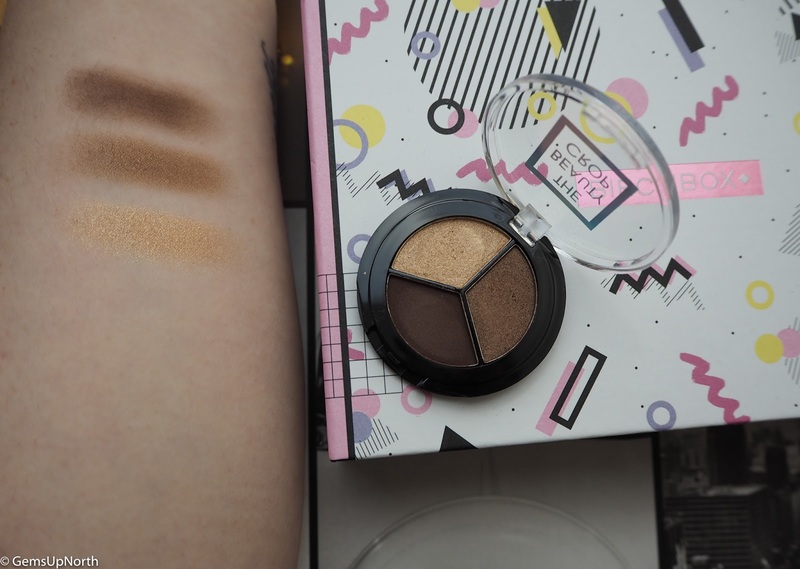 The shades aren't very exciting but do have that 90's feel to them being browns and sandy shades however I'm more of a bright eyeshadow girl. The darkest shade 'Midnight Blend' wasn't as blendable as the other shades but is good for defining my eyes in the crease and under my lower lashes. The other two shades; 'French Roast' and 'Vanilla Latte' have a lot more pigment and blend nicely, they also have a shimmer to them for that total 90's look! I'm way past my teenage years now but my skin doesn't seem to think so, I still suffer from breakouts and need products to help me battle my troublesome skin sometimes. 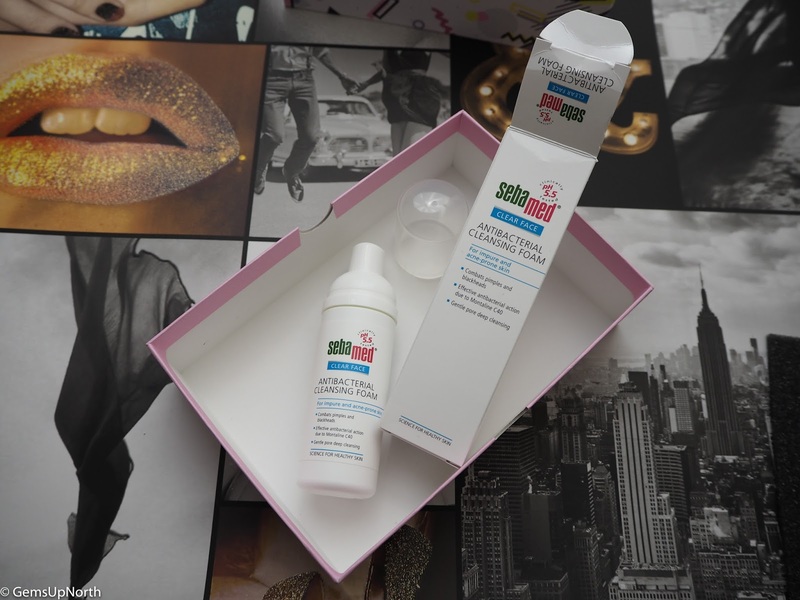 I've used Sebamed products before and had OK results, I gave this cleansing foam a try straight away. The foam is easy to use and two or three pumps will cleanse my whole face easily, the foam isn't really scented and does what it says it does; cleanses my skin. I probably wouldn't purchase this in the future as I did have better results with other products. Percy & Reed a brand we regularly see in Birchbox and I regularly use because of this reason, I have gone on to purchase full sized products from Percy & Reed a couple of times though. This finishing polish smells beautiful and really adds shine to any hairstyle; again bringing those 90's shinny hairstyles back into play here. The polish smooths through my hair easily and doesn't leave it feeling greasy or looking wet; it literally just adds shine. I did find I had to wash my hair more when using this polish though so you have to take this into consideration when using the product. I was surprised to find another hair care product in my box this month, usually only one hair care product is included. This hair mask has come at the right time for me though as my hair is looking a little worst for wear, I've not actually used a hair mask in ages. 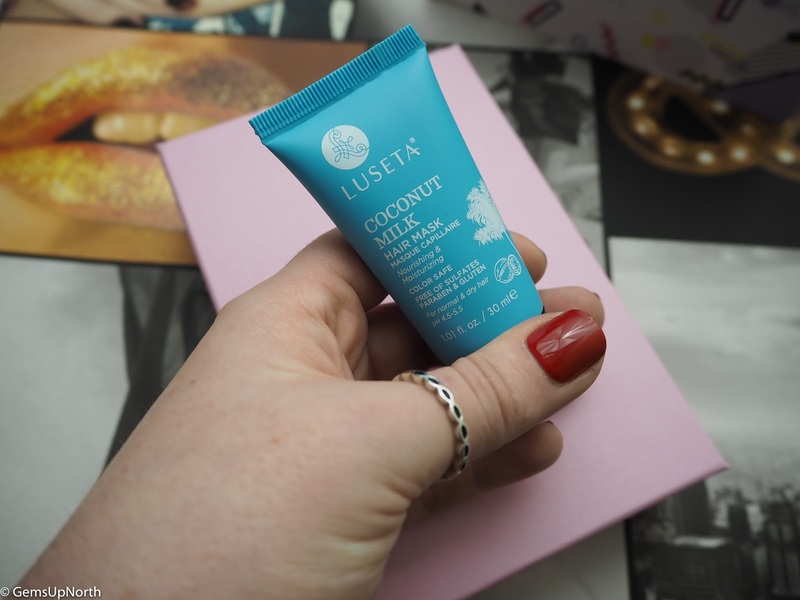 The coconut milk inside this Luseta mask is what really stands out to me, I've had great results from using coconut products on my hair in the past. The mask went on smoothly after shampooing my hair and I just left it on whilst showering then continued as normal with my conditioner. 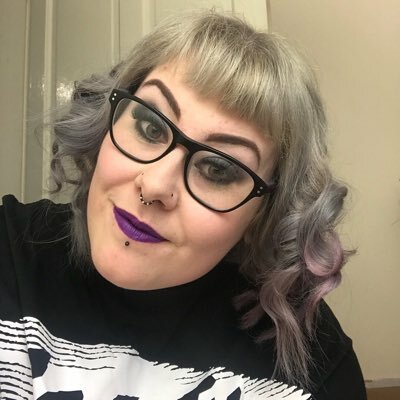 After drying my hair, I was left with soft feeling hair and it had a really shinny look to it; I felt like my hair was more healthier and looked great! 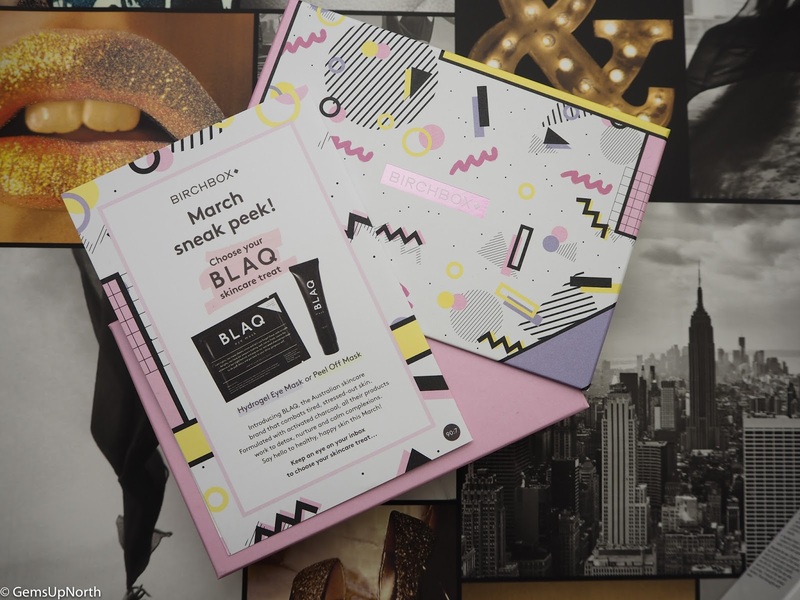 On the back of the in box leaflet was a sneak peek for next months box, this is a choice of either BLAQ Hydrogel Eye Mask or BLAQ Peel Off Mask. However Birchbox announced that each box in March will have a Benefit Bad Gal Lash mini inside. This is super exciting, I love receiving Benefit items in my Birchbox and I can’t wait to try this new mascara that has space technology in it!! If you wanna sign up and receive a mini Benefit mascara, a choice of charcoal eye mask or face mask and other treats then use my referral link here. You’ll get your first box for £5.00 too! Awww you got some lovely little products! I love the look of the latte eyeshadow trio, and the coconut milk hair mask sounds amazing!